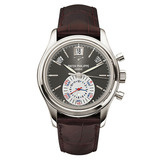 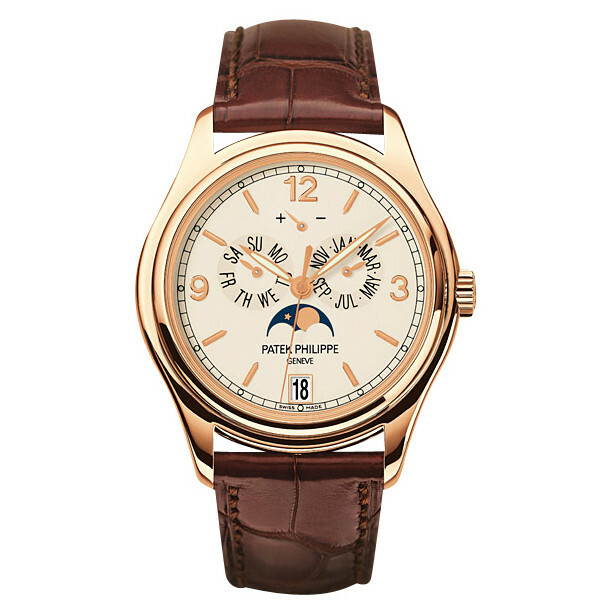 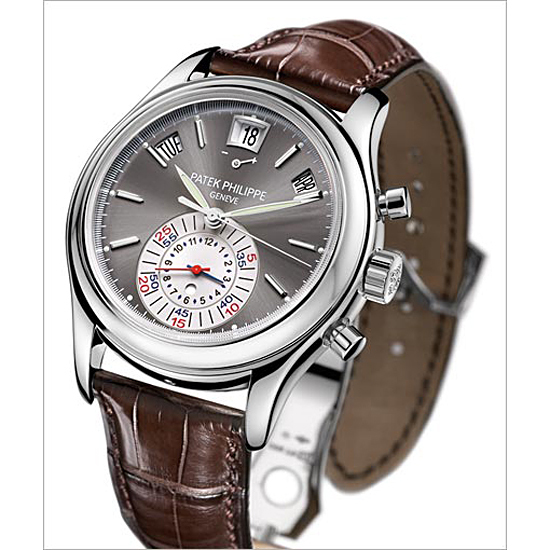 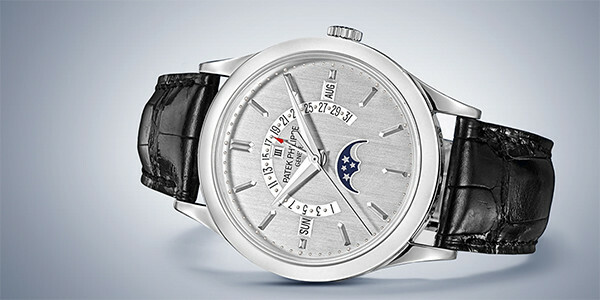 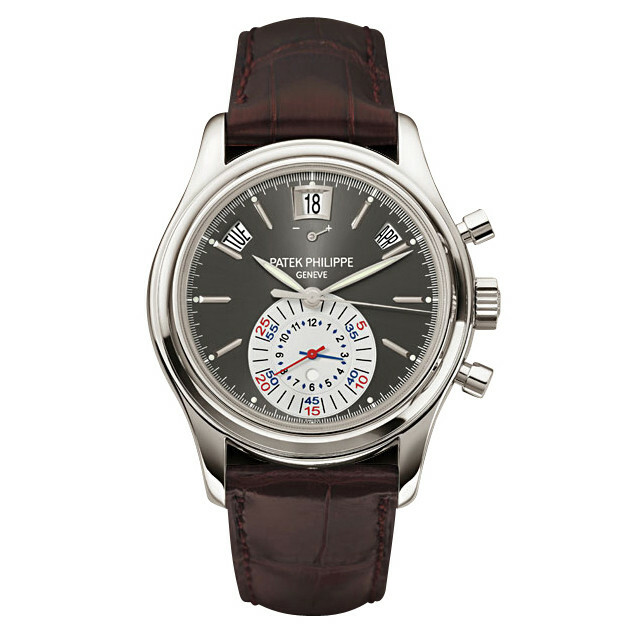 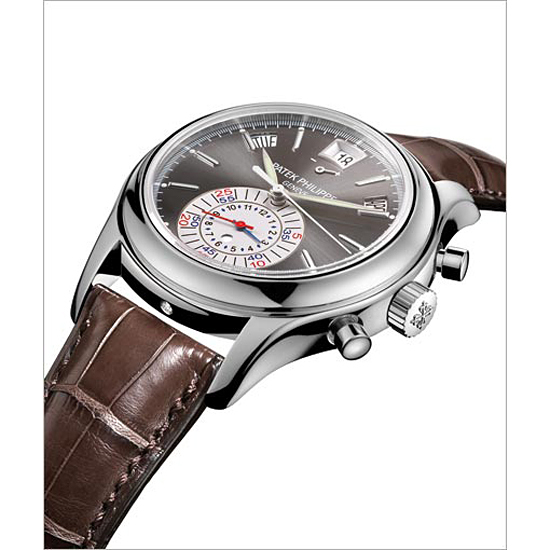 The Patek Philippe Annual Calendar Chronograph (ref. 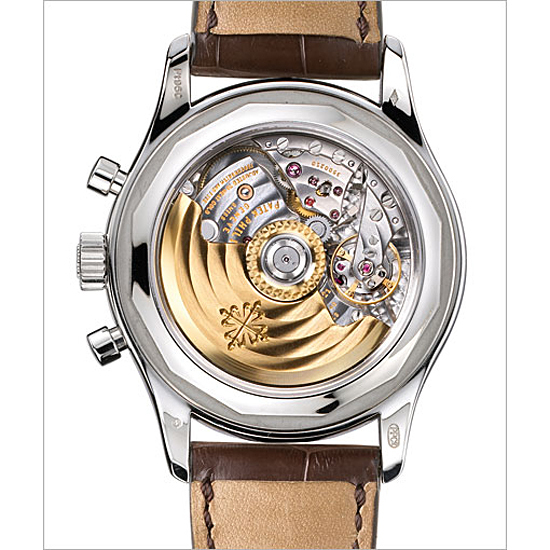 5960P-001) features the Caliber CH 28-520 IRM QA 24H mechanical automatic movement; gray anthracite dial; annual calendar complication with day, date & month displayed in apertures across the top of the dial; chronograph with both the 60-minute and 12-hour counters combined in the 6 o'clock position as an elegant monocounter; power reserve display at 12 o'clock; and 40.5mm, platinum case on a brown alligator strap with a platinum deployant clasp. 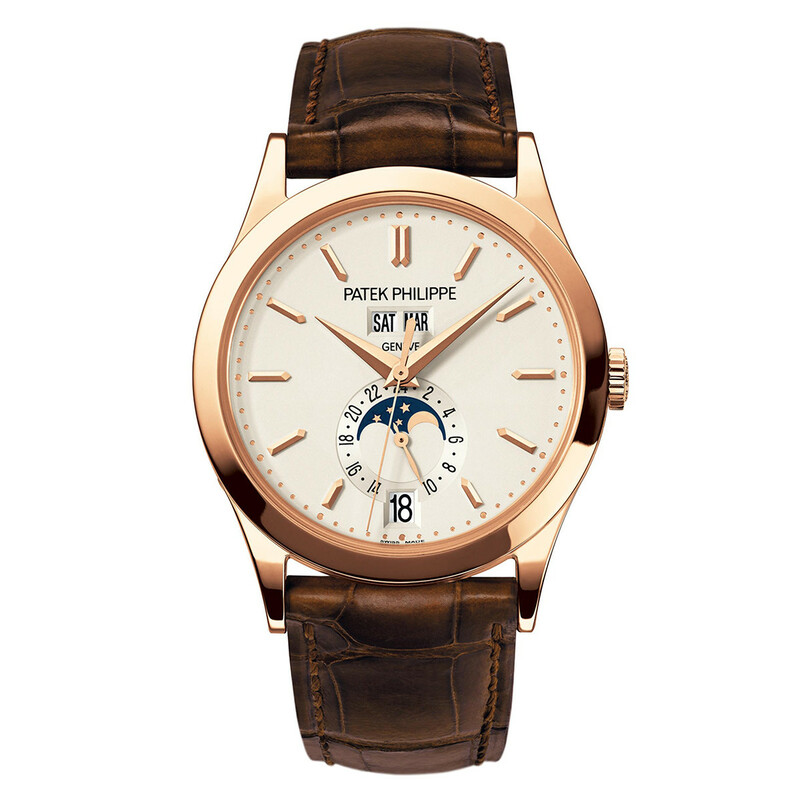 Originally released in 2006, the 5960P-001 is Patek's first automatic chronograph with an annual calendar. 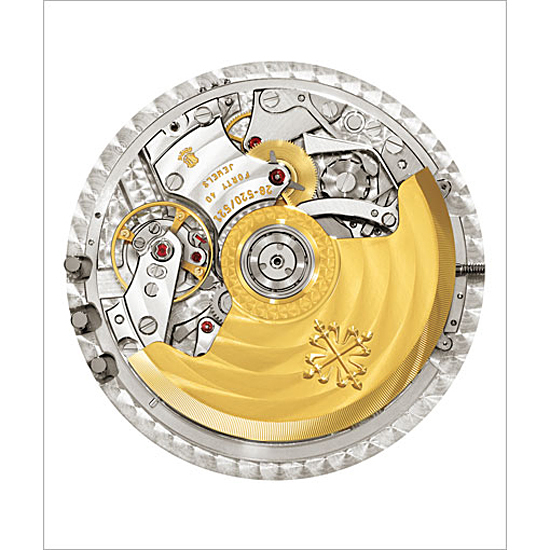 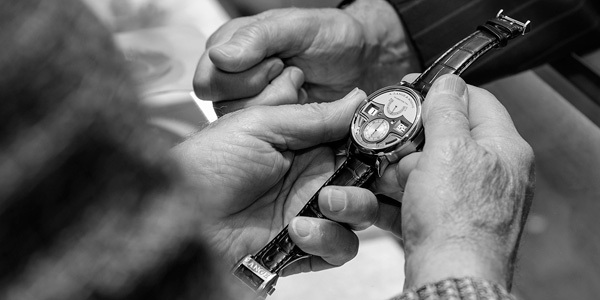 The 5960P is unique for its chronograph hand that also serves as a center seconds hand.